Here is my super cute bag, perfect for gifts of the small kind, OR a gift card. 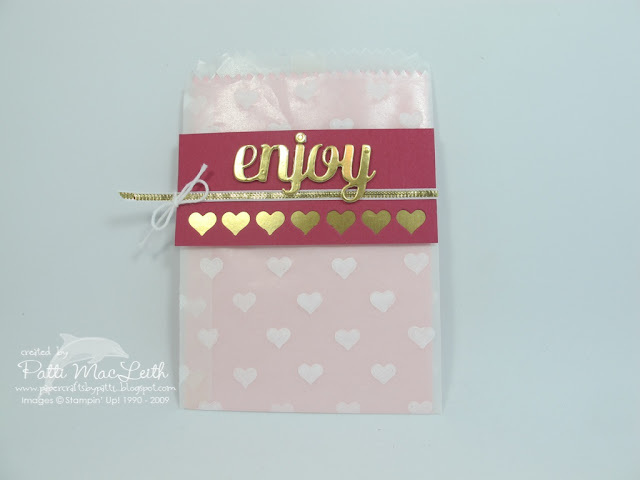 I used one Glassine Sheet and the Hearts Decorative Mask sheet with White Craft Ink to decorate the sheet before die cutting it with the Mini Treat Bag Framelits. 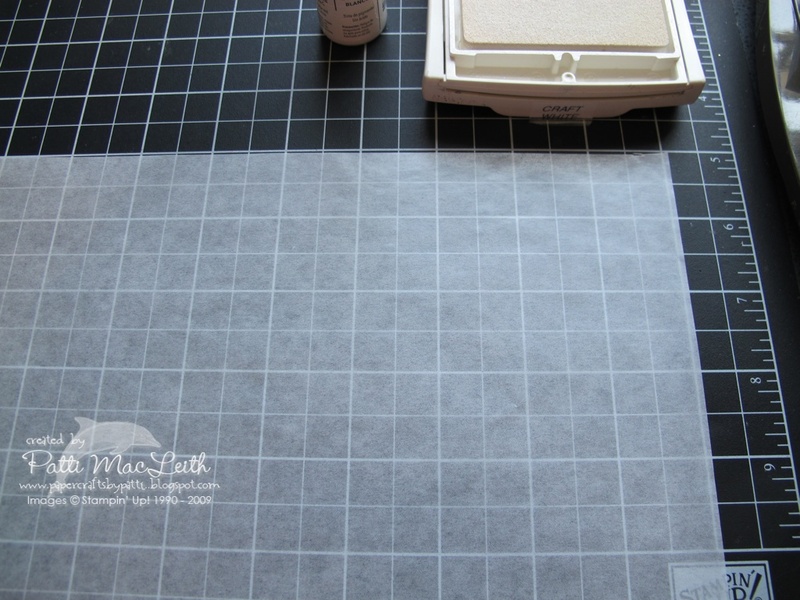 First I placed my Glassine Sheet evenly on my grid surface. I taped it in place so it wouldn't move. Use the grid to evenly place your stamped images. I do not remember which heart I used! Can you spot it? I let the hearts dry for hours and hours to be sure they would not smudge. Then just die cut using the Mini Treat Bag Framelits and put together. Embellish as you like. I hope you like my gift bag. Please leave your comments below-they always make my day! For your own Stampin' Up! 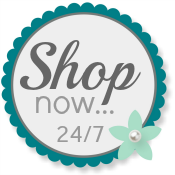 supplies, please use my Online Store. Love the bag. 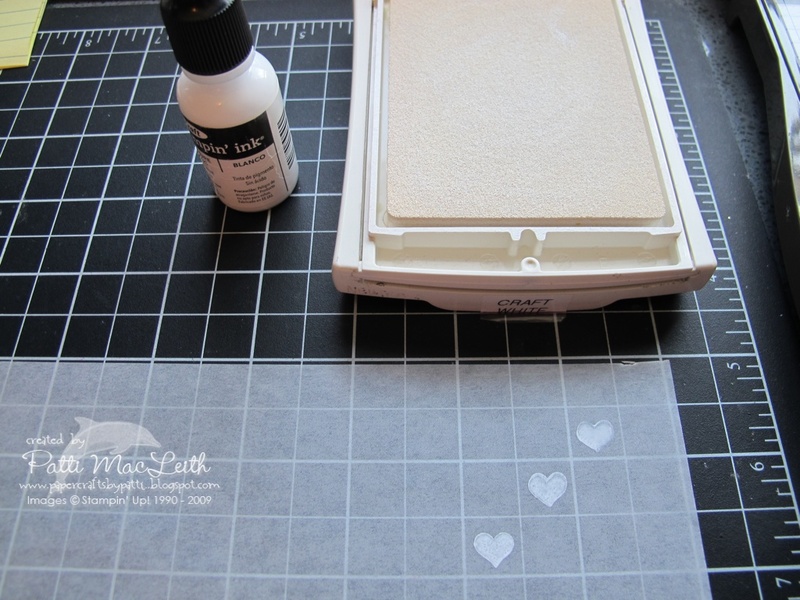 Isn't it amazing how long it takes the White Craft ink to dry? Thanks for the great inspiration. Very festive looking Patti! It would be fun to use for so many occasions!